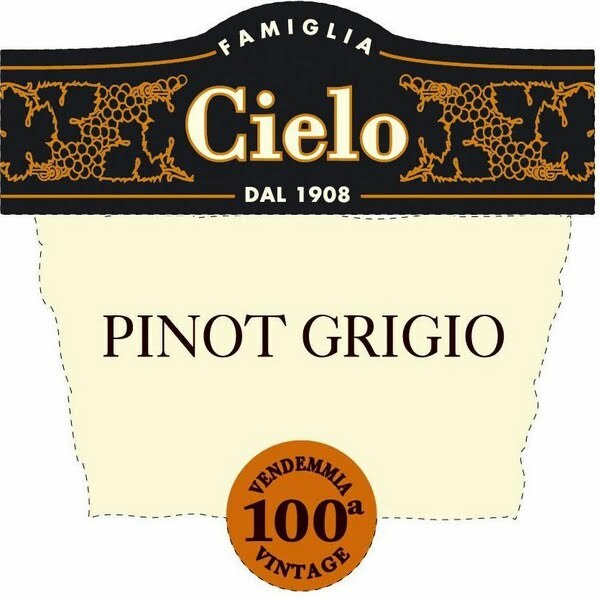 Tonight's review is of a 2010 Cielo Pinot Grigio Delle Venezie from Italy. We picked this one up for $8.00/bottle at The Grapevine in Warrenton, Virginia. I was looking for a wine that would stand up on its own as well as one that we could have with fish, chicken or something similar. Can't say I uncorked this one as it has the screw top that we're seeing on more and more wines. Very light gold in color on the nose this one showed hints of apricot and grass. Once I poured and allowed it to warm up just a little I tasted more of the apricot and other citrus, maybe lime, with a little hint of spice. Nice and crisp wine, a little dry but not too much, and a nice, easy finish. I ended up drinking this with a baked potato with just a touch of butter and a smattering of sharp cheddar cheese and it went together wonderfully. I originally gave this one 3 Corkscrews but after further consideration bumped it up to 4 Corkscrews due to its' great price and excellent flavor/acidity combination. Sit Long, Talk Much, Laugh Often, Drink Wine!